‘LUMA ARLES presents the opening exhibition of La Mécanique Générale, a new exhibition venue in the Parc des Ateliers in Arles (…) SYSTEMATICALLY OPEN? 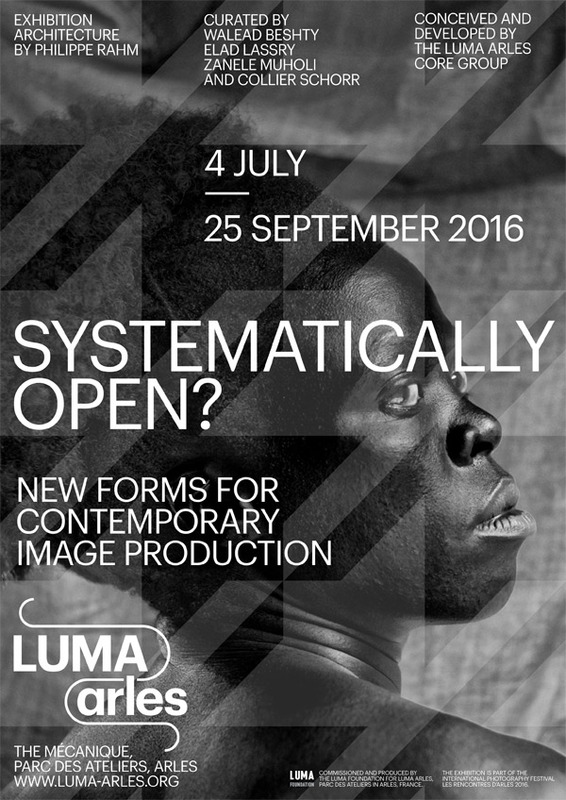 — New Forms for Contemporary Image Production explores new structures for the presentation of the photographic image. An examination of the relationships between photography and its various modes of display, the exhibition draws upon avant-garde, political, and critically conscious legacies of aesthetic production, provides a new framework for experiencing the image as a reproduction, and prompts a structural rethinking of the photographic medium.